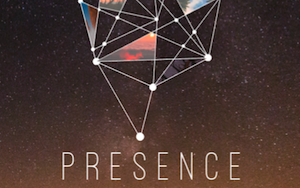 Available for free download on 22 April for iOS and Android, Presence aims to help users find ways to spend quality time with God. It has also been created to purposefully intersect and enhance the creative arts in the church. Presence will begin with 10 chapters. Each chapter, composed to music and accompanied by poetry and a video, focuses on a specific scripture reference, all which are personal to Hunter. "The specific scripture references are verses that have meant a lot to me during my walk with Jesus," he shares. "These are verses that have inspired, encouraged, challenged and have given me peace at certain times. "When I am inspired by a specific piece of scripture, I like to interpret it and create atmosphere through the music I produce. I then work with different artists, film directors, poets who then interpret the verse in their art form." When the free app is officially live April 22, users will immediately receive all 10 chapters. For every month following, another chapter will become available with new scripture references, music, videos and poetry. Those who download the app at a later time will receive the first 10 chapters along with the new chapters released up to that date. Presence Stream – a 20-minute live stream directly from Andy's UK studio will also be available each month, where viewers can see him perform new and previous material. An album of the music used in Presence will be released later in 2016.